Be taken on a thrill-bounding ride full of games and adventure when a Yabadoo Super Hero from Newcastle leaps in to your kid’s birthday party. All our Super Heroes for hire perform a side splittingly funny and interactive magic show with loads of audience participation. Kids can also be trained, by way of imaginative play and games, to use their powers for the benefit of the world. When you hire a superhero in Newcastle, the children will also enjoy other fantastic birthday party ideas like face painting, twisted balloon art, games, temporary tattoos and lots more! Our entertainer will also present a specially crafted balloon to the birthday child during the magic show to mark this special day. 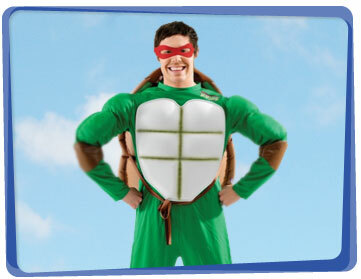 Yabadoo Super Heroes in Newcastle can create a package to suit your needs, whatever your event may be. We have experience in all types of events. Hi Jude, The party was a really professional and delightful experience. 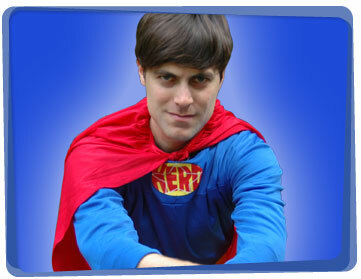 Our Yabadoo Super hero was very entertaining and entranced the kids with fun and magic. He was also very interactive with the children and captured the attention of three year olds (which is hard to do). It gave all the adults a chance to catch their breath and also enjoy the party. My friends said he was great and he was definitely not threatening in any way. We will definitely be ringing you guys again next year. Tom S.
We have a fun, interactive superhero party game idea for your child’s next birthday! Gather the little superheroes and have them sit down in a circle. Everyone makes a beat by slapping their thighs and clapping their hands. It goes: slap slap. clap clap, slap slap, clap clap. If a child gets stumped or says a name that doesn’t belong in the category, he/she is out of the game. The last little superhero standing is the winner. 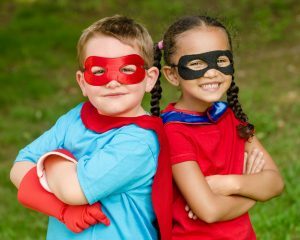 You can use different categories per round like super powers, girl superheroes, boy superheroes, hero clothing items, etc. Be creative! For older kids, do the beat once instead of twice to make it more challenging.